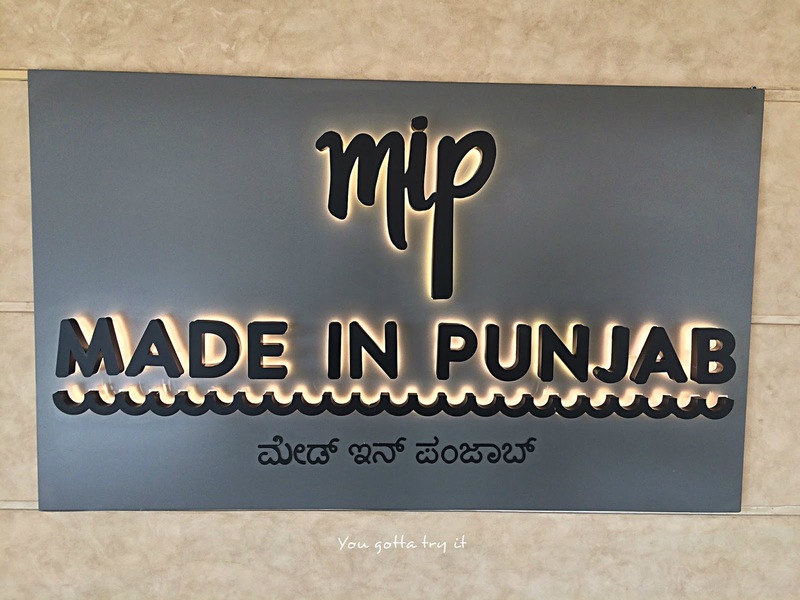 You gotta try it: A spectacular lunch at Made in Punjab, Bengaluru - An afternoon I'll remember forever! 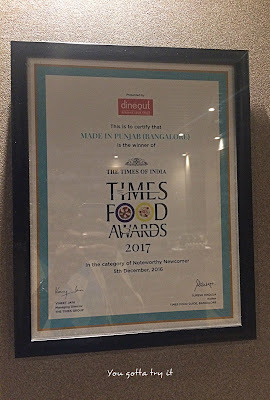 A spectacular lunch at Made in Punjab, Bengaluru - An afternoon I'll remember forever! Winter season is here! Bengaluru at its best and we always needed something or other to keep our body warm. 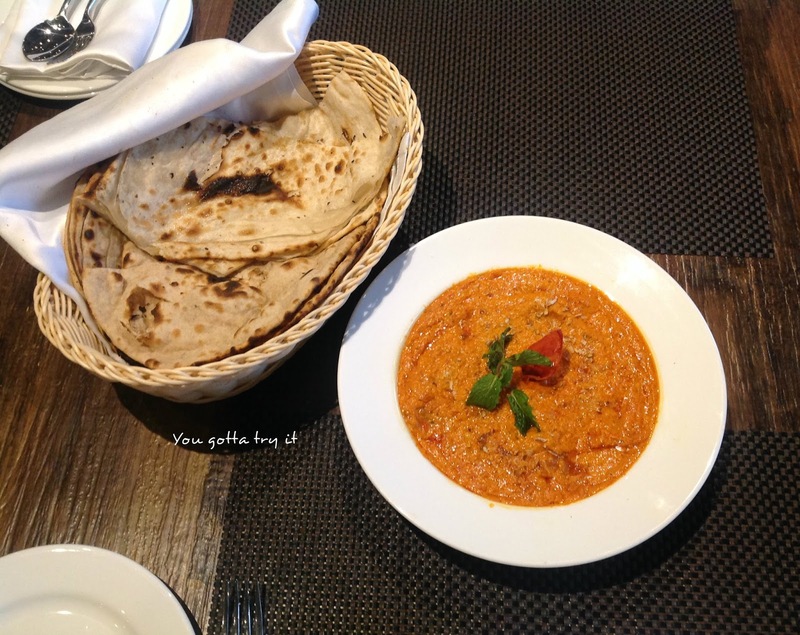 When I think about cuisines, Punjabi food does fair dealing for this matter. 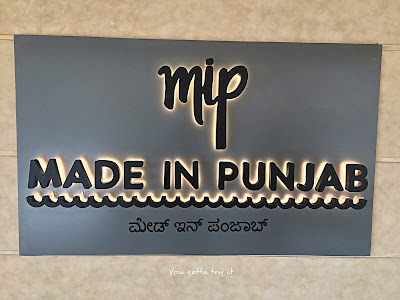 My visit to Made in Punjab (MIP), Bengaluru was long due and recently I had an absolutely magical experience at this restaurant. MIP is from the house of Jiggs Kalra, the ‘Czar of Indian cuisine’ and the brainchild of Mr. Zorawar Kalra who is known as the ‘Prince of Indian cuisine’. Everyone knows Mr.Zorawar Kalra through the recent MasterChef India and like other well-known Chefs from the show; we know how passionate and in-depth knowledge Mr.Kalra has got when it comes to food. It was such an honor for me to visit one of his restaurants. MIP is located in UB City and it is always interesting to be around that area especially in the festive season. Since Christmas was round the corner, the entire mall was well decorated. My booking was done in advance and without any waiting time, I got a table. 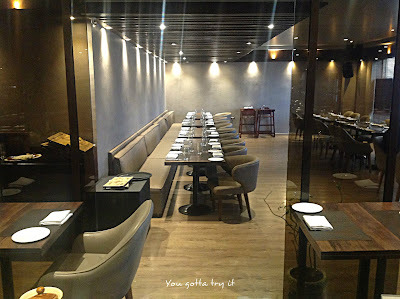 They have really great ambiance with elegant and classy interiors. Whenever you visit MIP or Farzi it’s not just about the gastronomical experience, but also for their service and great hospitality. MIP’s staffs are very polite, friendly and attentive – This applies to the lady who ‘welcomes the guest’ to the staffs who serve you the food. At any point, you can ask the staff for details of the dishes mentioned on the menu and they will help you with the best description. 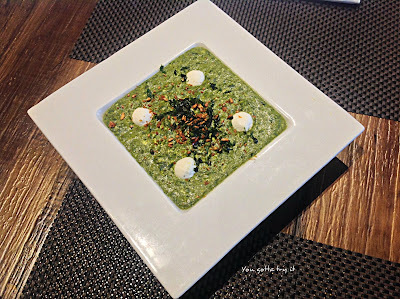 Whenever you dine at a gourmet fine dining place, make sure that the person who dines with you knows how to appreciate good food. In my case, I was with a vegetarian friend who loves Punjabi food. We went on a Wednesday afternoon and surprise to see the place was packed with corporate, families, and kitty party groups. 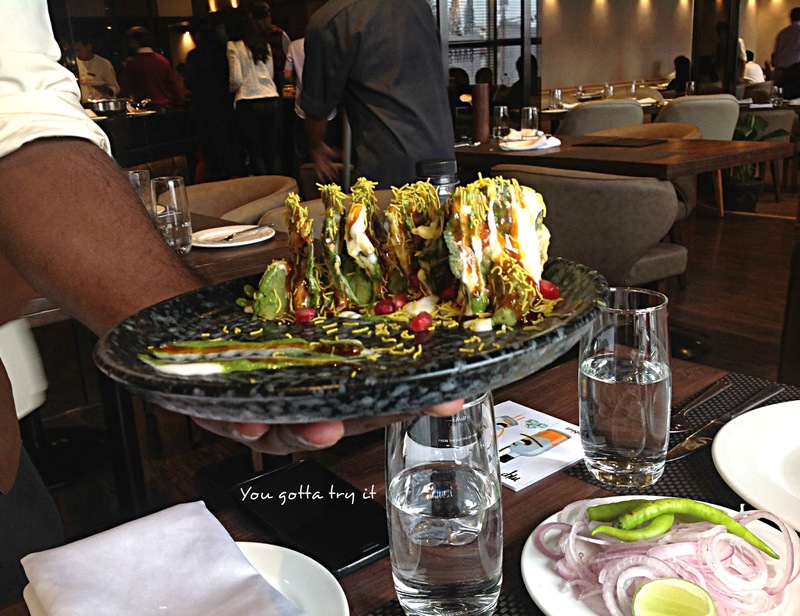 They recently started buffet menu which is already very popular and a good option for the hungry corporate souls. This time we opted for ‘a la carte’ and MIP has a dramatized menu with funny caricatures and one-liners. This will surely catch your attention. 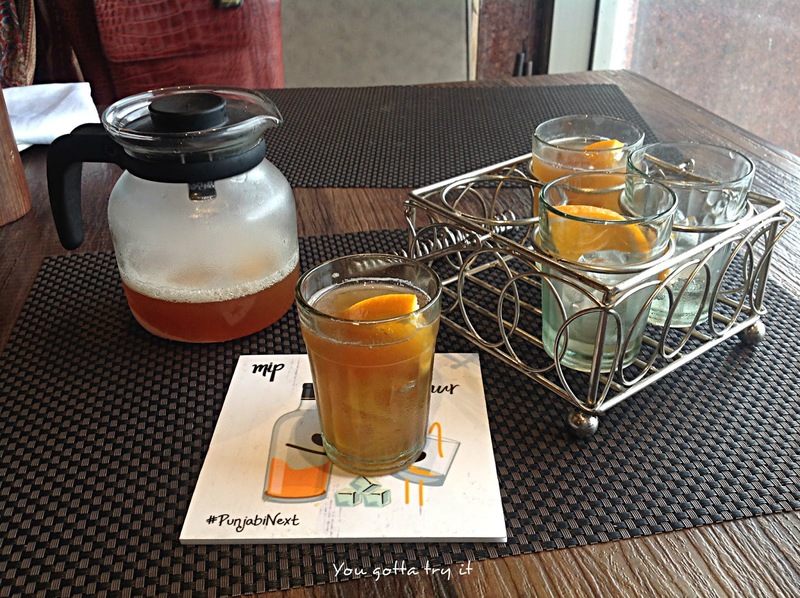 We started our lunch with a Nashili Chai and an Orange mocktail for my friend. Nashili Chai is a rum based cocktail which comes with the visual treat when they serve. 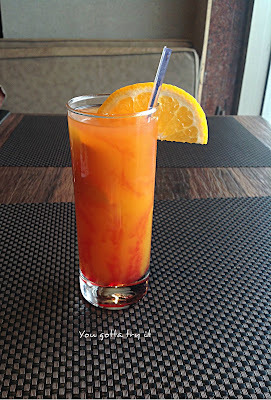 Orange wedge will add an extra punch to this drink. It’s a must-try drink for the cocktail lovers. ‘Popeye Paaji ki fav chaat’, Bhatti ka Murg, Paneer Barrel Tikka, Jau Mushroom chakli, Sarson Olive machchi were served as appetizers. Each and every item served were spectacular appetizers which will make you feel undoubtedly heavenly. 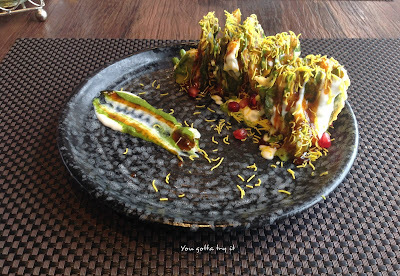 Popeye chaat had the wonderful flavors from spinach crisps, mint and tamarind chutney, sev and pomegranate garnishing. 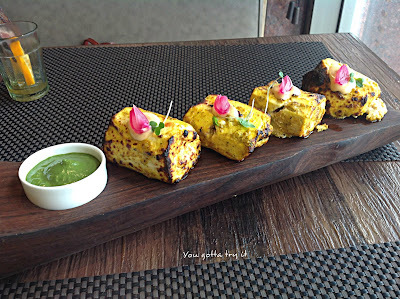 Another delectable dish was the melt-in-mouth Paneer Barrel Tikka. The freshness and quality of big chunks of paneer used were outstanding and it was cooked to perfection which will make you crave for more. Who doesn’t like a little bit of visual treat? 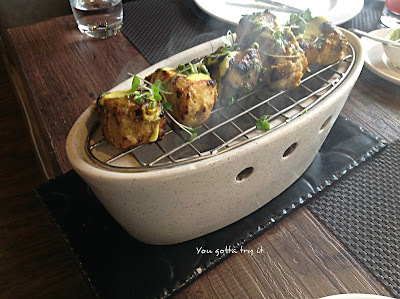 The other dishes Bhatti ka Murg and Sarson olive machchi were served with smoke. 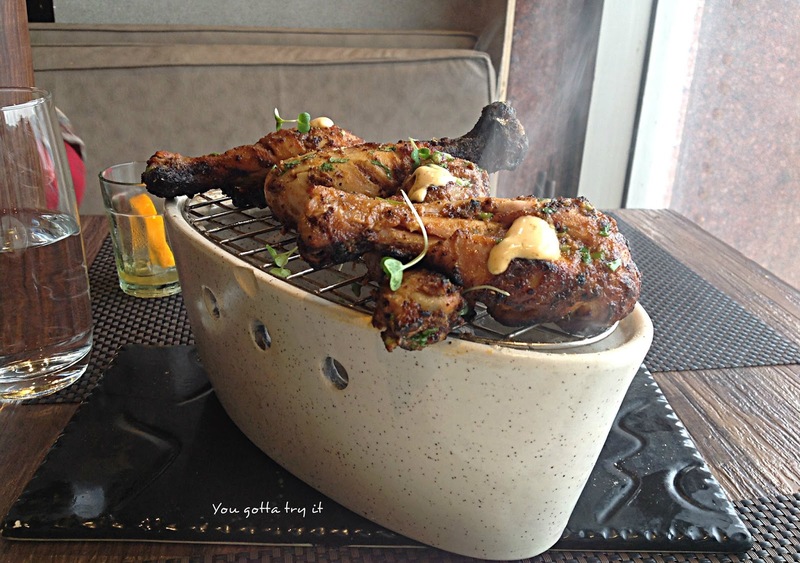 Both the dishes were lip-smacking with smokey Tandoor flavors. 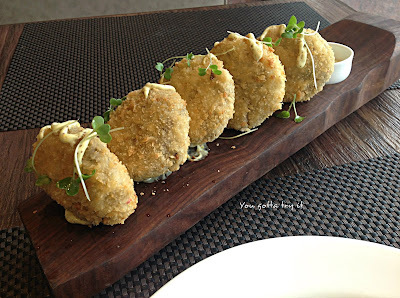 Jau Mushroom chakli was crumb fried patties with a creamy and crunchy blend of Jau (Barley) and Mushroom. 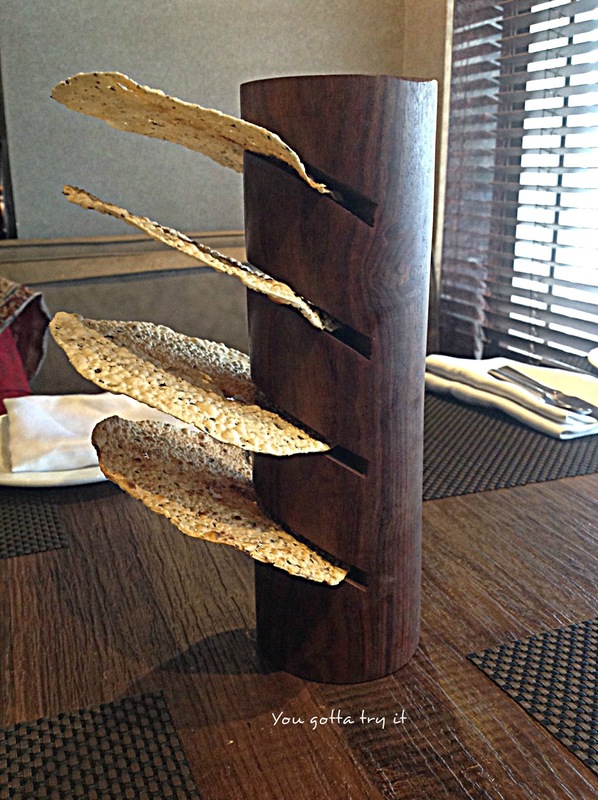 Most of the impressive items on their menu are traditional dishes. Be it presentation or taste, it’s all about the traditional dishes with a stylish modern twist which caters to everyone’s palate. By the time we finished the appetizers we were almost full and the main course served made us our eyes wide open. 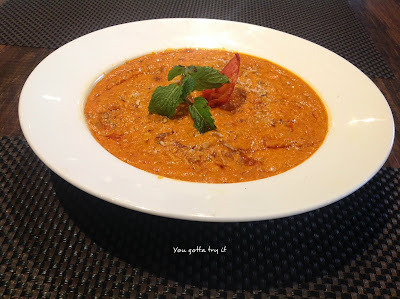 Maa ki daal, Highway gosht, Luxury BC (lol! it’s not the one you guess, it’s Butter Chicken), Lahsoon Palak Chenna were served with assorted Indian bread. Maa ki daal aka dal makhani and Luxury butter chicken was so rich in flavors and I could have just had it without any accompaniments. So yum and filling it was. Lahsoon Palak Chenna had a unique flavor which I never experienced before. 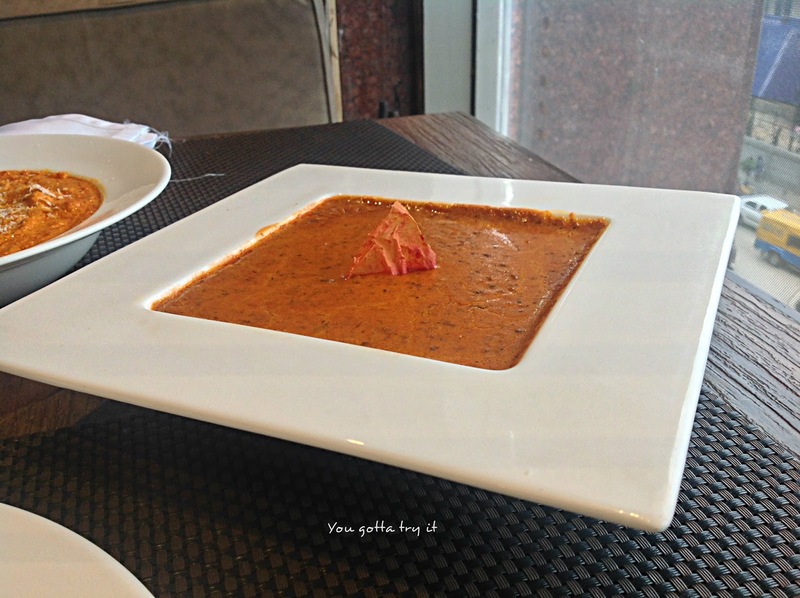 The crumbled Paneer (cottage cheese), and spinach cooked in onion-tomato gravy was truly a North West Frontier dish. 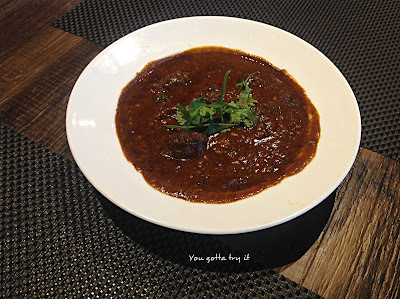 Highway Gosht, as the name says lamb cooked in Desi Dhaba style. This dish looked so simple yet so delightful. 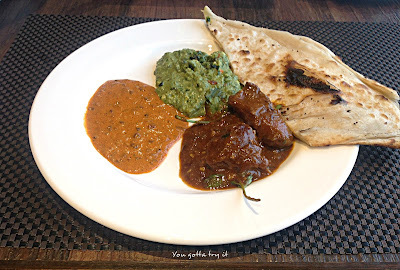 All the gravies went well with the buttery soft Indian bread. 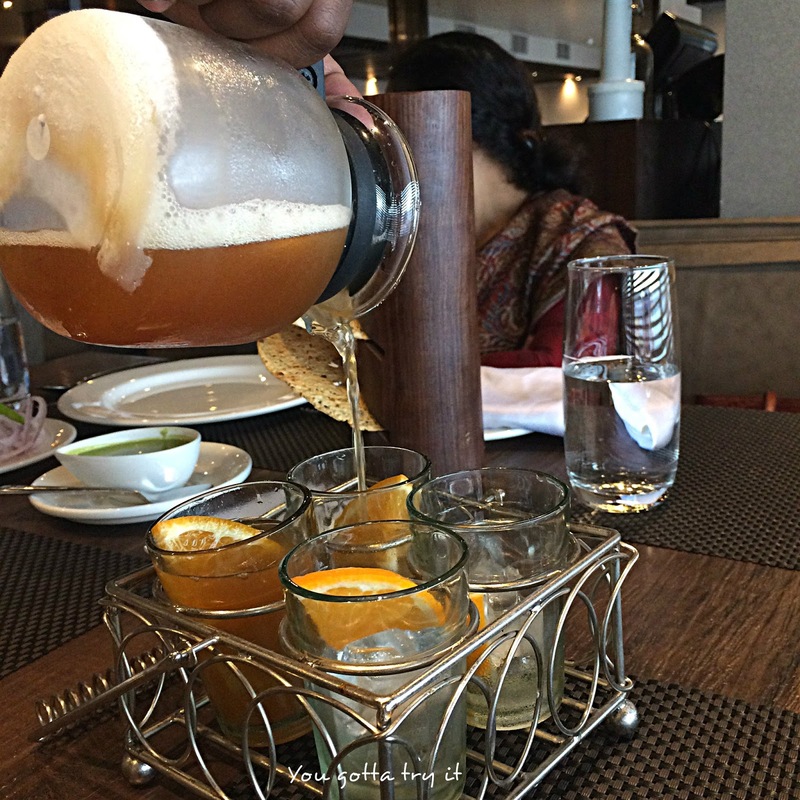 A Punjabi meal is incomplete without a glass of Lassi (yogurt based drink). 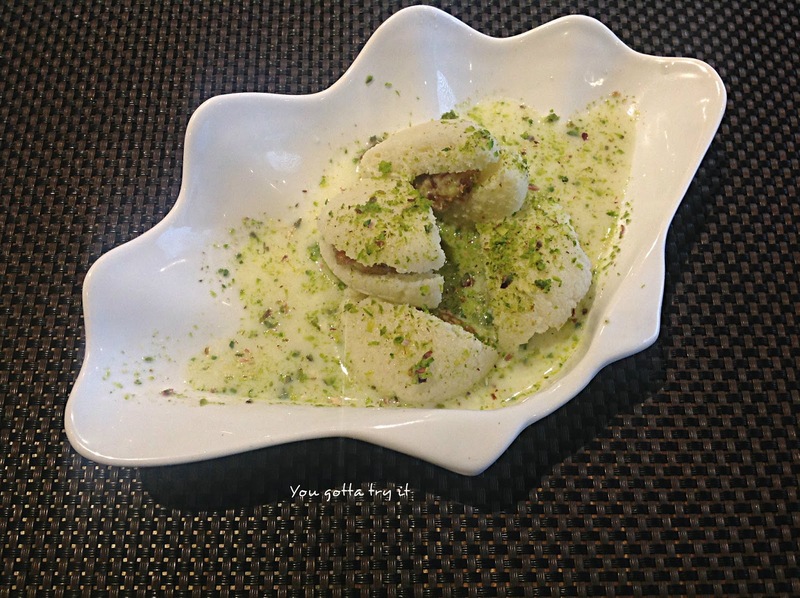 But this time there was no room for the same and we ordered desserts -Ras ‘Dates’ malai, and Stuffed gulab jamun. Both the desserts came with a twist; the stuffing in it. 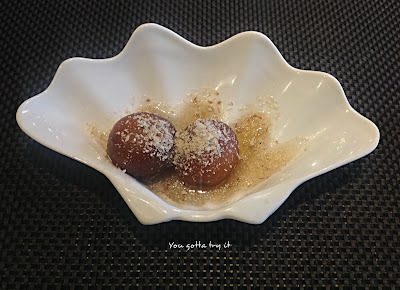 Rasmalai had a dates rabri stuffing and Gulab Jamun had a chocolate stuffing. 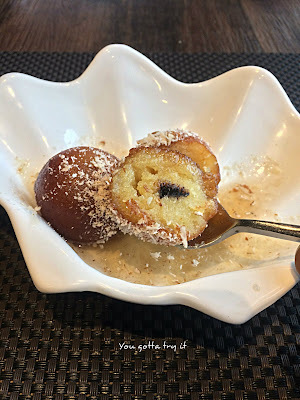 You will experience such unique combo and scrumptious desserts only at MIP. 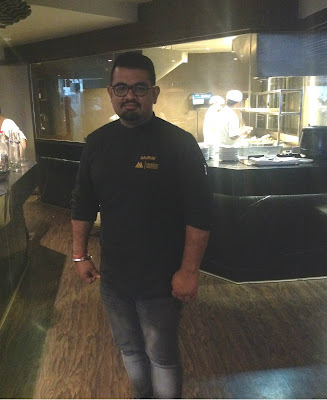 Thanks to Chef Gaurav and his team for making our day so special. 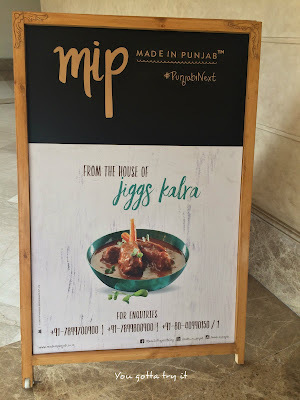 As 2016 is almost getting over, my lunch at MIP was so special and close to my heart and I’m sure this is gonna be in my top North Indian restaurants list. 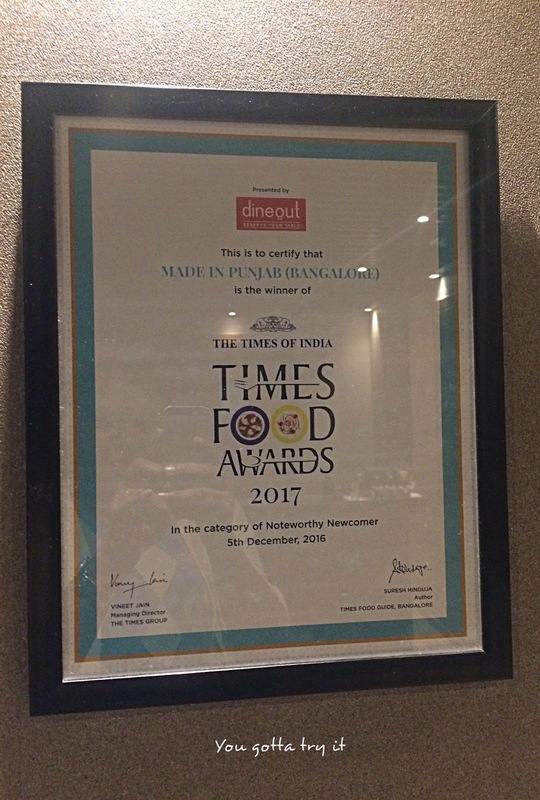 Don’t believe me check out the recent Times Food Awards they received in the category of ‘Noteworthy Newcomer’. I am sure when I travel to other metropolitan cities I will surely visit the other restaurants from Massive Restaurants. A meal for two would be approximately ₹1500/-.